A year working in industry gives you an excellent opportunity for development, you’ll get used to the demands of the world of work, develop new skills and strengthen your CV. If you choose to undertake a research-based role, you could have the opportunity to apply what you’ve learned at university to the “real world”. All our degree courses offer you the opportunity to undertake a placement year as part of your degree. Industrial placements are typically taken between your second and third year. If you choose to undertake a placement year, this will extend your studies by 12 months. An industrial placement will help prepare you for graduate-level employment. You’ll develop lots of skills that will be key when applying for jobs after graduation and could help you stand out from the crowd in applications. Some students use their placement to try out an industry they think they might be interested in for the future, or to concentrate on something they’re really passionate about for an extended amount of time. It can also help give you an extra dose of ambition and focus for your final year at Leeds, which might help you to achieve better results. If you choose to take a paid placement, the average salary is around £16-18,000 per annum. Although unpaid placements are also an option. Our students have taken work opportunities across a wide range of industries, including pharmaceutical, biotechnology and food industries, biology testing laboratories, research institutes, environment, agriculture, leisure and health. Our students who choose to carry out their placements overseas have gone to a huge range of places. This year we have students in Australia, Belgium, Belize, Canada, France, Germany, Greece, Panama, Singapore, Spain, and USA. Some students have chosen to do two six-month placements over the year. 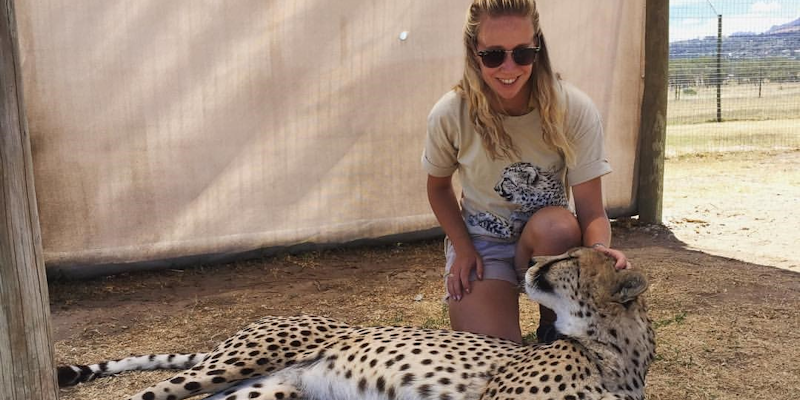 Zoology student Ella split her time between working at a cheetah sanctuary in South Africa and the Mauritian Wildlife Foundation, Mauritius. From the beginning, staff at Leeds will be on hand to support you. Although you’ll need to apply for placement positions independently, we’ll help you with your CV and application letters. During your placement you’ll have ongoing contact with us. We also work with your industrial supervisors to make sure you get the most out of this year. "I would like to use my Zoology degree to pursue a career in conservation. 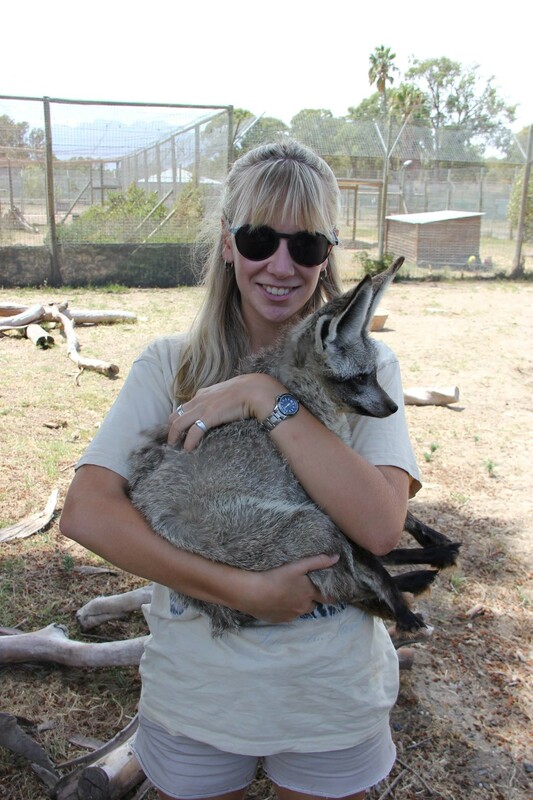 From doing my year in industry it has increased my passion for saving endangered species."